A Viennese baker created the very first bagel in honor of King John Sobieski of Poland, because the King reportedly saved Vienna from Turkish invasion in 1683. 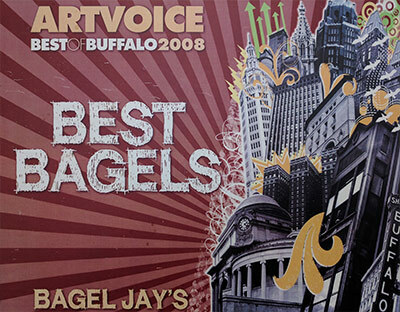 The traditional water bagel arrived on American shores in the early 20th century, when Jews fled Austria, Germany and Poland. 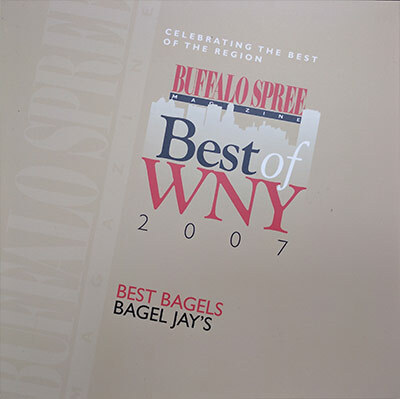 In 1976, Jay Gershberg and his brother brought NY Bagels to Buffalo and took the market by storm, serving customers at two dozen Bagel Bros locations throughout the region and outside the area. 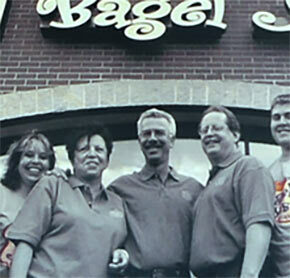 The chain was then purchased by Manhattan Bagel in 2000. 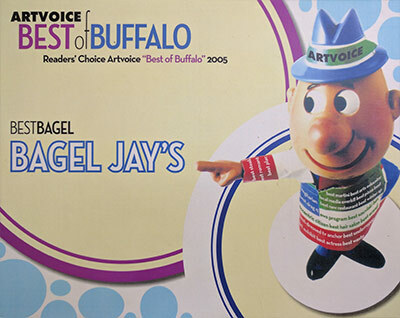 Jay created the Bagel Jay's brand in 2001 and partnered with Tom O'Hara, area manager of the original chain, to bring Bagels back to Marshall's and Dash's Plaza. After a sixteen-year hiatus, Jay has returned to Snyder Square and is thrilled to once again serve his long-time loyal customers! 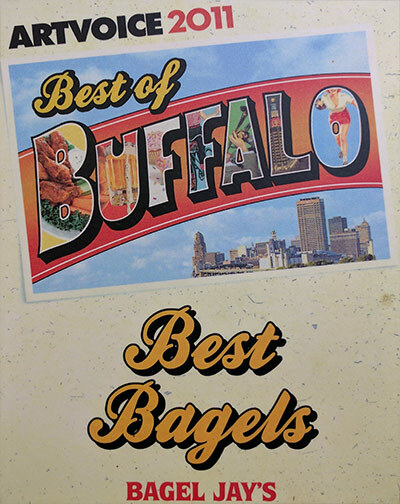 Remember how bagels used to taste? 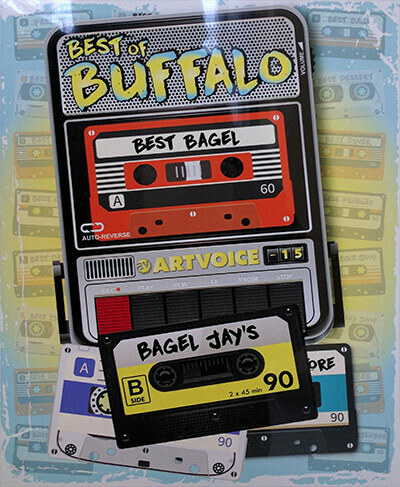 That's what you'll taste today in every bite at Bagel Jay's—consistently delicious deli favorites, fresh-baked bagels, signature tuna fish and homemade cream cheese shmears, the way they're supposed to be. Offering sandwiches, soups, salads, the finest dark roasted coffees and more. Stop in and see what you've been missing! 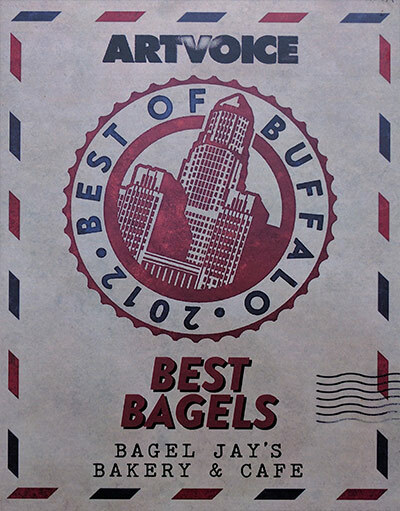 Since 1976 Bagel Jay's has been a part of the Buffalo community, and we're continuing to invest in it's future. 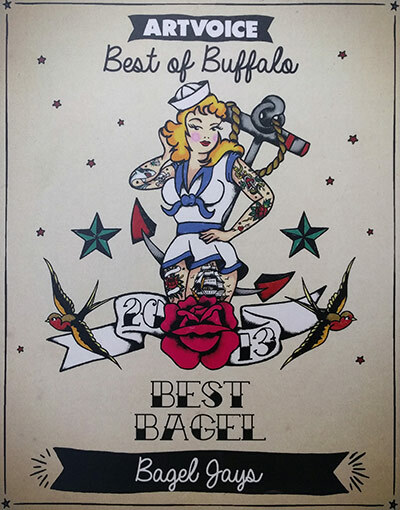 We support Buffalo's independent businesses by buying local first. When we help each each other, we help the environment and the well being of our area. We're proud to support Dash's Market, McCullagh Coffee, and Palmer Food Services. 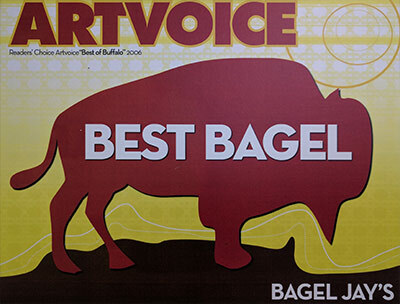 Think local, buy local, be local and Buy Buffalo First!